Have you ever tried a DD Bagel Twist? How about a Big N’ Toasted breakfast sandwich or a scoop of Baskin-Robbins Salted Caramel Cashew ice cream? If so, you have experienced firsthand some of the tasty innovations developed by the DD culinary dream team, led by Executive Chef and Vice President of Product Innovation Stan Frankenthaler. 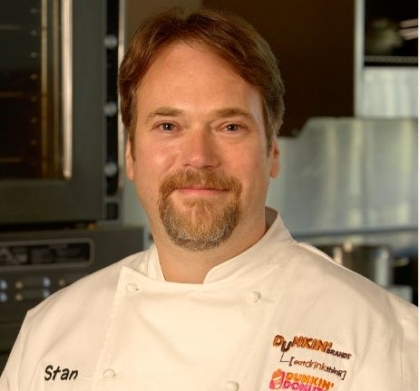 Chef Stan has what many would call a DDream job: he leads a team that develops food and beverages that surprise and delight millions of Dunkin’ Donuts and Baskin-Robbins fans worldwide. That’s a lot of taste buds to please! 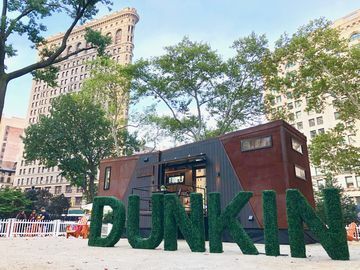 When he is not cooking up new menu ideas in the top-secret Dunkin’ Brands Test Kitchen, he travels to countries such as Russia, Italy, Mexico, and Thailand for culinary inspiration. 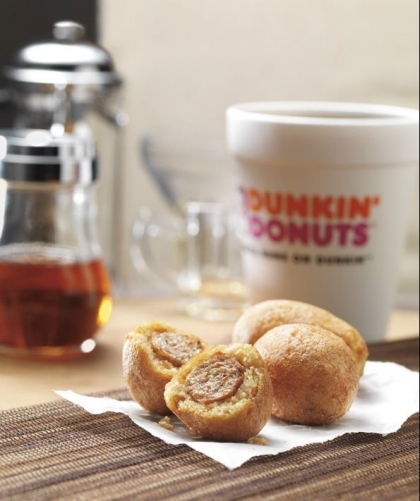 At Dunkin’ Donuts and Baskin-Robbins, offering menu items that meet the needs of our guests is always top of mind. Stan and his team are constantly thinking about the flavors and products that people will be craving next. As a result of their hard work and dedication, we’re thrilled to report that Nation’s Restaurant News recently honored Chef Stan and his team with the 2012 MenuMasters Innovator of the Year award. The award was sponsored by Ventura Foods and presented to Stan and his team in Chicago in May. Chef Stan and his team introduced delicious Sausage Pancake Bites in 2010, which are bite-size sausage links wrapped in a maple-flavored pancake. What does it mean to you to be named MenuMasters Innovator of the Year? Receiving the MenuMasters award was very heartwarming. The award does not reflect one single accomplishment; it represents a multitude of successes. So, it feels very significant. What was it like accepting your award in Chicago in front of your peers and the Dunkin’ Brands culinary team? There was no submission process or call for nominations for this award, so when I received the letter in the mail my initial thought was just, “this can’t be true!” The ceremony was the moment when receiving the award became very real. I began to feel it in a personal and emotional way. I was also very lucky to have the opportunity to bring several team members to the ceremony. Our culinary innovations are not just the work of a single person, so it was especially rewarding to receive this recognition surrounded by the people who are a part of making everything happen. What are the main sources for your culinary inspiration, and what is your typical process for coming up with new product ideas? I have a hyper-curiosity for food, flavor, and food experiences. I get really excited by things like the aroma of spices and the smells of cookies baking. My sense of smell definitely triggers my creativity. I also get a lot of my ideas from travelling—I love the connection between culture and cuisine. It ties into my strong sense of discovery and exploration. All of my innovations are driven by the desire to get a smile from my customer. This is a mentality that we all share on the culinary team. We’re like professional grandmas. Why does Grandma bake cookies? Because Grandma wants to see you smile. When it comes to “getting the work done,” I believe in putting the guests at the center of the wheel and working around their needs instead of my own—this workflow is a bit different than how other businesses often operate. 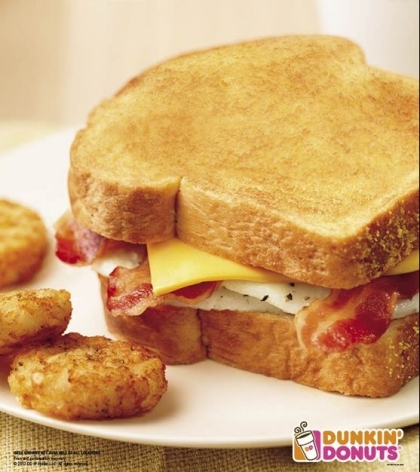 The Big N' Toasted is Dunkin' Donuts' biggest breakfast sandwich ever, with two peppered fried eggs, four slices of cherrywood smoked bacon, and a slice of American cheese... all packed between two thick slices of Texas toast. How do the menus at DD/BR reflect the tastes and needs of the average customer? How are these tastes different than those you have catered to in the past? Consumers’ tastes are always changing, but what remains constant is that they always want a balance of uniqueness and consistency from their favorite brands. I always try to create new items without changing the basic qualities that people count on. 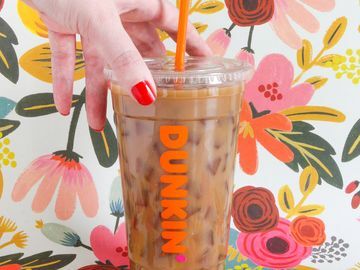 At Dunkin’ Brands, we never want to change the fun, our good sense of humor, or the excellent value of our products as we develop new flavors and combinations. More people now like bolder flavors… and also tropical flavors. We pay attention to these taste changes and do our best to deliver the products that will satisfy them. For example, we use Alfonso mango in all of our mango-based products. The Alfonso mango isn’t just an ordinary mango; it has a lot of aroma and a beautiful texture. The fragrance alone makes you crave it. Social and culinary trends work together. For example, we are seeing a trend toward portable foods. Our guests are busy, our lives are busy. Foods that you only had time to cook on the weekends and had to prepare at home, like waffles and French toast, are now coming off of the plate and into more portable forms. Another big trend that we have seen through the economic recession is the blurring of the line between restaurant categories. For example, you don’t have to go to a fancy steakhouse to get Angus beef anymore. 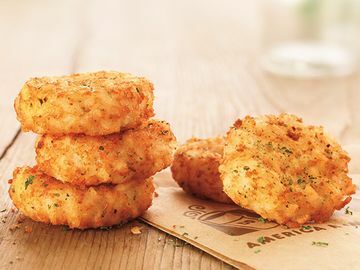 People are expecting higher quality products from the quick service restaurant (QSR) category. The challenge is that they are also expecting these products at a lower price. 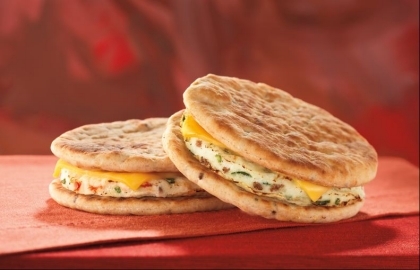 The DDSmart better-for-you menu includes delicious items such as the Egg White Flat Bread sandwich, in both Veggie and Turkey Sausage varieties. Since you’ve started your career at Dunkin’ Brands, what accomplishments have you been most proud of? I am most proud of the way that the team has grown. 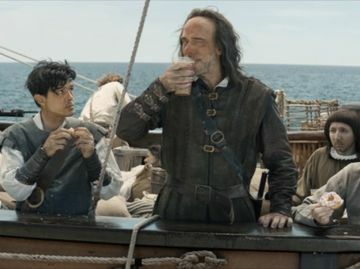 They are the best at what they do, especially as far as partnering cross-functionally. The restaurant business is about people, so we really value the process of bringing teams of people together. I am also proud of our health and wellness initiatives. We have two iconic treat brands, and we have stayed true to ourselves and evolved in ways that are natural and don’t break the trust of our customers. With health initiatives, there can be no trade-down on experience. We have egg whites, Bright Choices lite ice cream, multigrain bagels, and reduced fat cream cheese. Customers can truly crave our healthy products. I also believe that portion size is key: as long as you don’t go overboard, there’s nothing wrong with a little bit of indulgence. Who has been most inspirational and helpful throughout your career? If I had to choose just one person, I would say Chef Jasper White, who is currently the owner of The Summer Shack. He was one of my first mentors after I got out of culinary school in the early ‘80s. He is a true discoverer and has been able to reinvent himself in so many ways without losing his authenticity. I believe in personal growth and metamorphosis—or the chance to reinvent yourself. In the food business, it’s not about restaurant categories, but about how you treat your guests. What do you like best about working at Dunkin’ brands? A lot of people ask me why I like working for Dunkin’ Donuts and Baskin-Robbins. My answer is always that these two brands allow me to create, our customers love new products. Creativity is one of the tried and true culinary virtues. To test your own culinary creativity, check out these summer recipes from the DD culinary team!